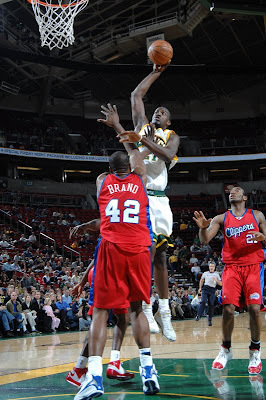 Recently I showed some pictures and video of Elton Brand wearing the Converse Hops. 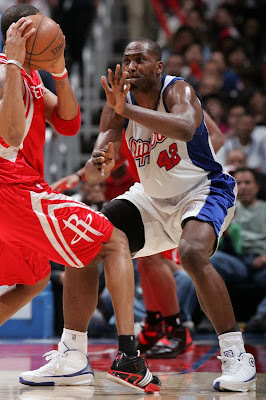 However, in his first three games back he has been wearing the Converse Game Time. 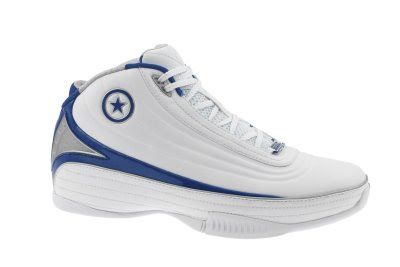 You've seen this shoe on the Blog before, and also on the feet of Andre Miller for a good part of the season. 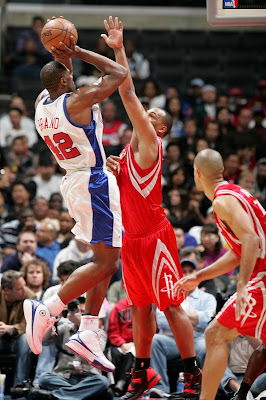 Below are some game shots of Elton in the Converse Game Time. You can sort of see a logo on the tongue. As close as I can tell it's a large B with a smaller E inside of it. Hopefully we'll see the logo on a signature shoe for Elton. 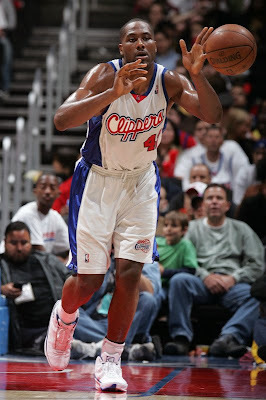 Andre Miller has been working wonders in the Game Time this year. I truly believe that he has been one of the most over looked and under appreciated players not only this year but through his whole career. I can't wait to see what he can lead the Sixers to this post season. I think they might surprise some people. In the three games Elton has played he's looked great for not playing all year. I look forward to seeing where he ends for next season. That's it for today, but I've got some really exciting stuff in the bag of goodies. Hopefully I can get to them soon. Thanks for stopping by and don't forget to vote on the poll. There are only a few days left.